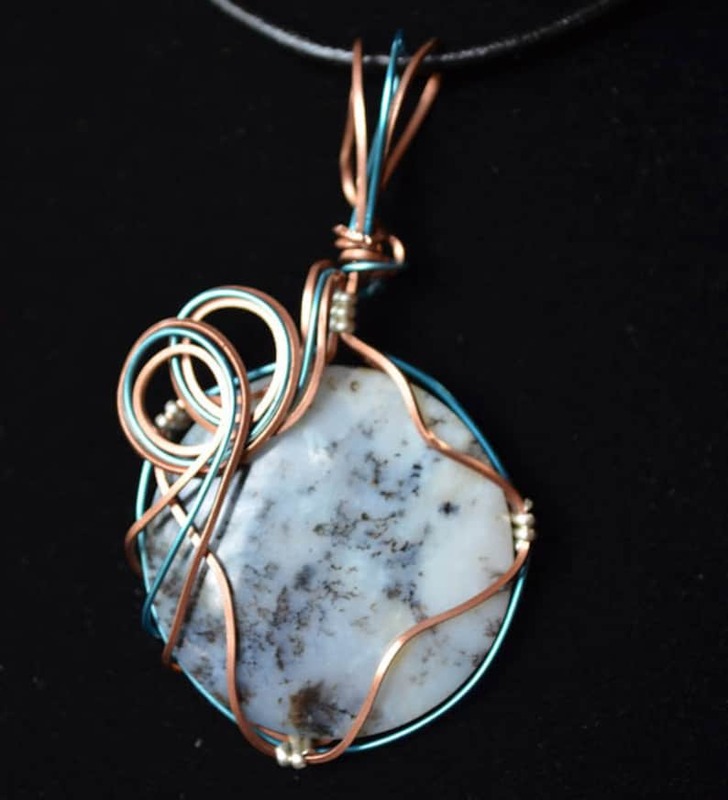 A piece of wood opal or petrified wood wire wrapped in three strands of copper and blue wire. A really beautiful figure in this one. Petrified Wood is also known as wood opal. It is the fossilized remains of organic material that forms when the plant debris is buried and replaced by mineral material. These stones come from forests that were immersed in high silica content water. Over time the wood decays and is replaced by siliceous material. Additionally it can be seen when forests are buried under volcanic ash fall. Although petrified wood is rocklike in density and weight, it consists of both organic and mineral matter.